This book is intended to provide an introduction to the exciting and emerging world of wireless LAN technology. This technology continues to expand at a phenomenal pace with constant improvements in speed, reliability, and security. Reading this book will teach you the fundamentals of standards-based technology, giving you an overview of the design, communication, hardware components, and maintenance associated with wireless LAN technology, commonly referred to as Wi-Fi™. 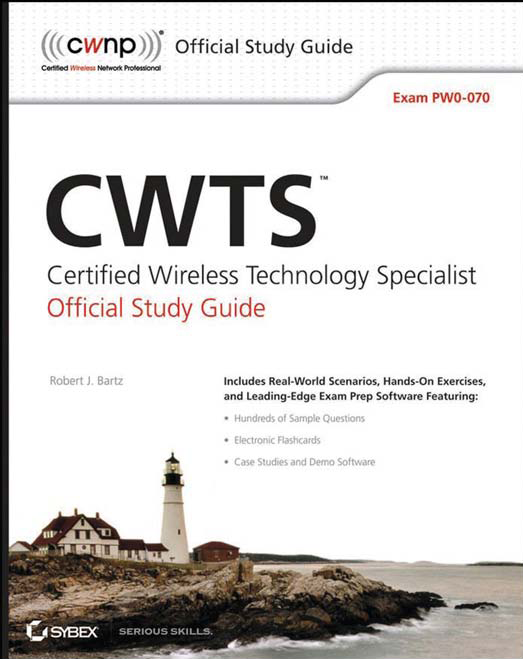 In addition to providing an overview of the technology, this book will help you prepare for the Certified Wireless Technology Specialist (CWTS) certification exam available from the CWNP program. CWTS is an entry-level enterprise wireless LAN certification, and is recommended prior to the Certified Wireless Network Administrator (CWNA) certification. CWTS is designed as a replacement for the Wireless# Certification. This certification is geared specifically toward both wireless LAN (WLAN) sales and support staff for those in the enterprise WLAN industry.